We start asking our kids a month (or more) in advance what kind of birthday party they want. Sam stuck to his guns this year and wanted a Dinosaur birthday party! 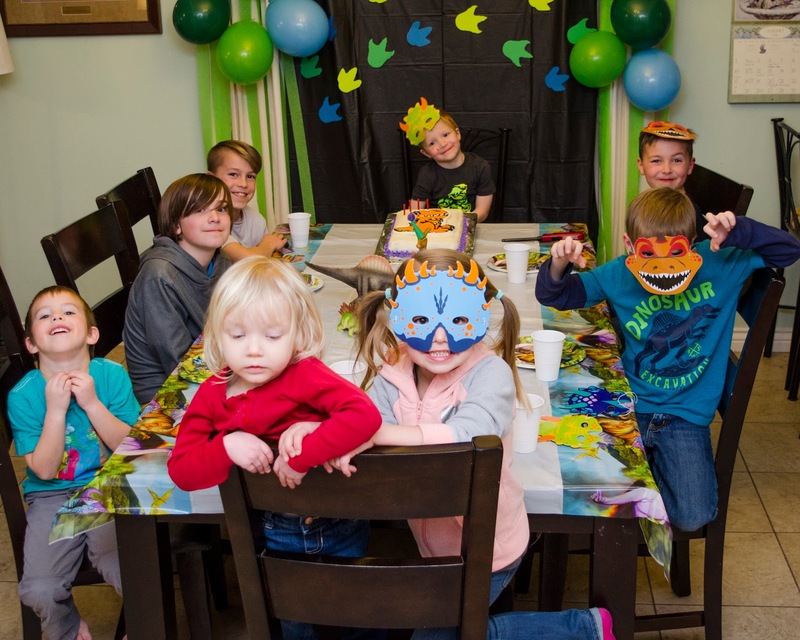 Since he was turning 4 and had never had a "friends" party, this was his year for that. 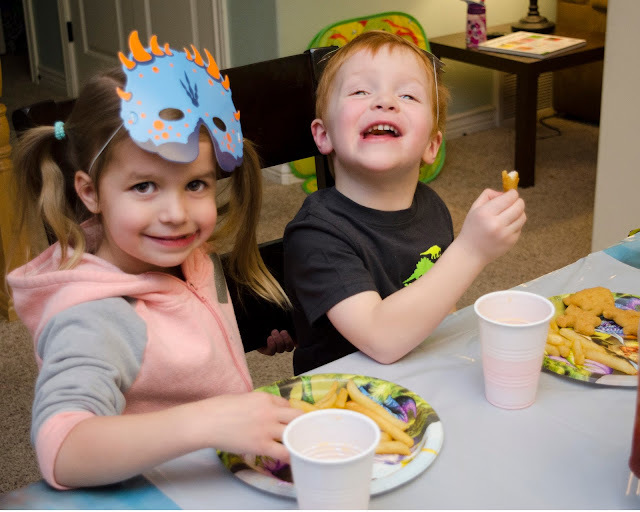 The funny thing is though, that Sam's best friends are Luke (his brother) and Mara (his cousin)! We also invited our neighbor friend Finn, who is a little older, but whom Sam and Luke play with all the time. 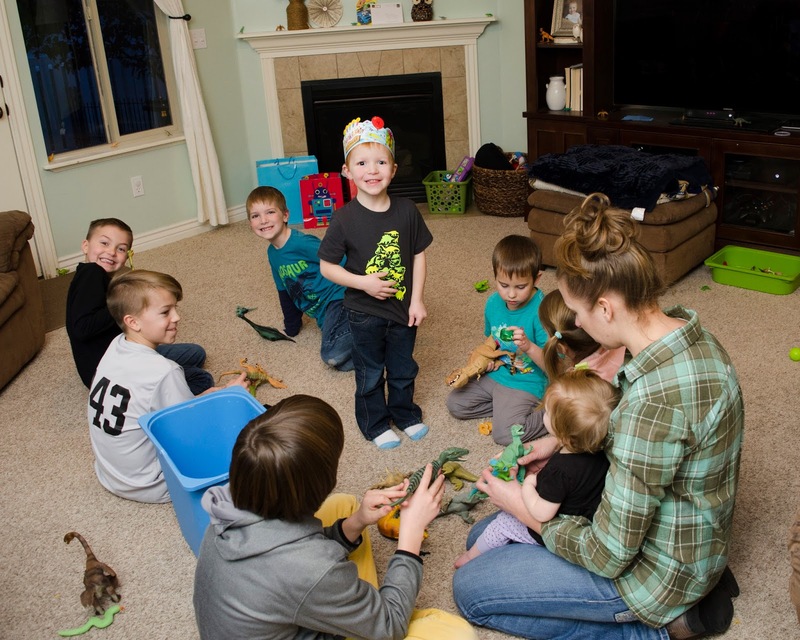 Since his other "friends" were family, we just invited all the near-by cousins to join the party (like we usually do). 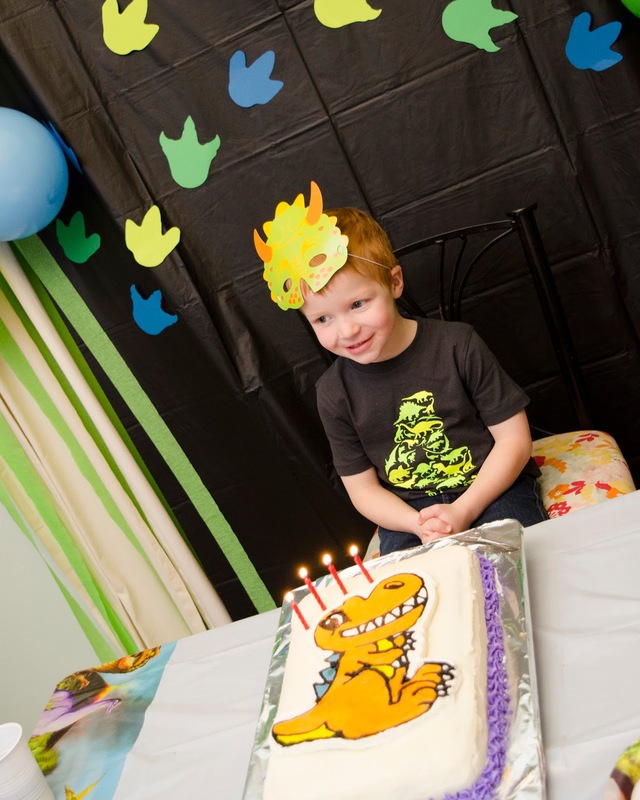 Also, let me note here that Sam was HAPPY his entire birthday day! This is kind of a big deal because we have been dealing with a serious case of pouty-lip syndrome where Sam acts like his life is completely terrible all the time. He's even earned the nickname "Sadness" like from the movie Inside out because he will literally just melt onto his face on the floor and lay there in utter sadness over the silliest little things. 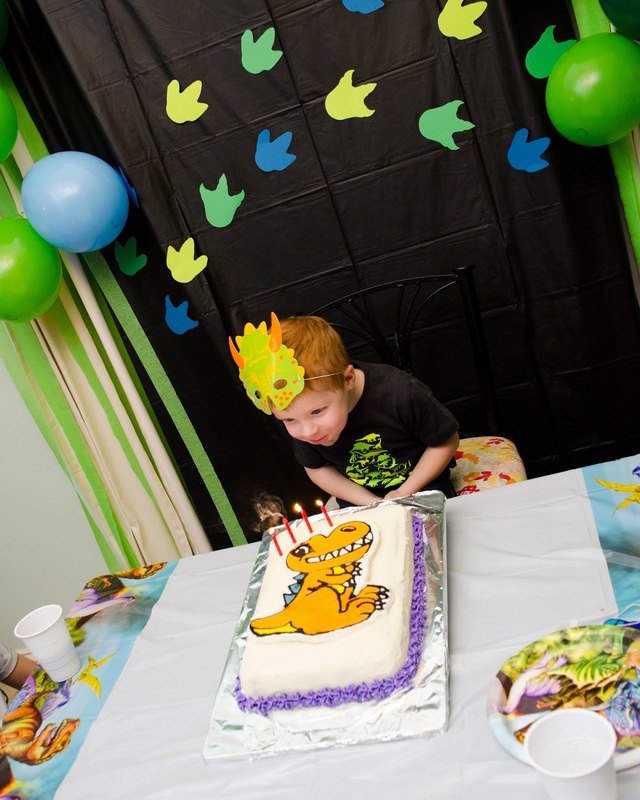 But Sam was super happy all day for his birthday which made the whole day great for everyone! 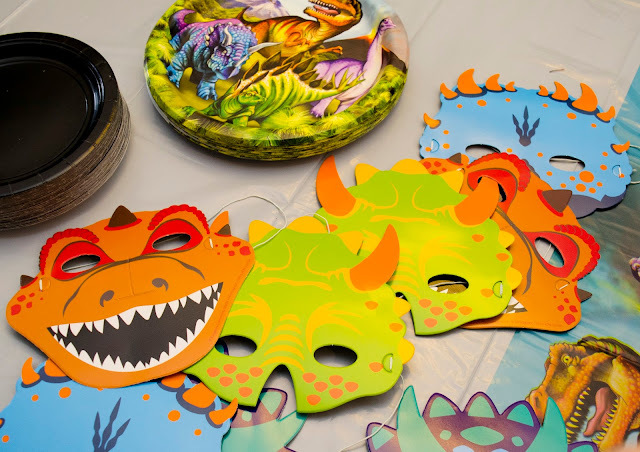 Walmart made my life a little easier with this tablecloth, dinosaur plates, and ready-made dinosaur masks! 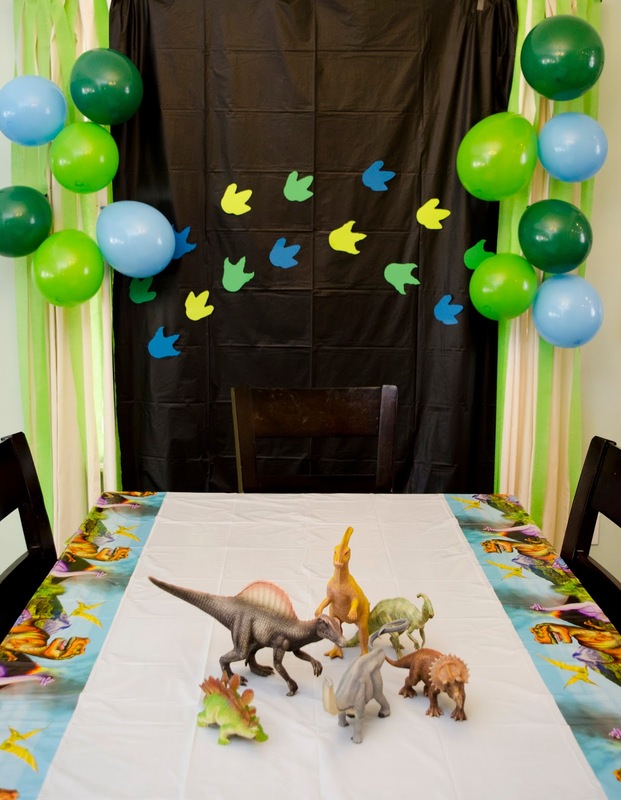 We have TONS of dinosaur toys which was perfect for both the decor and the games we played. 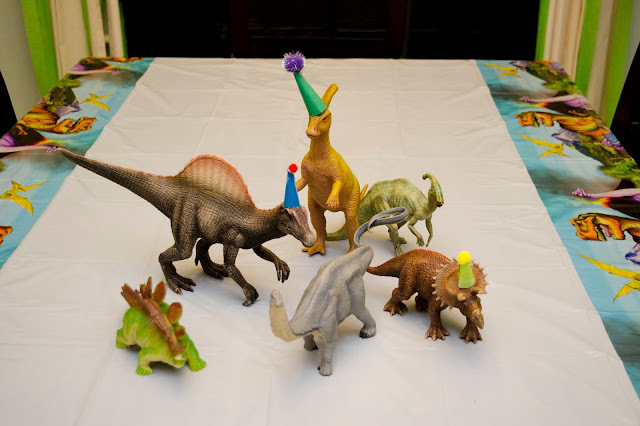 These dinosaurs were all ready for the party in their little birthday hats! 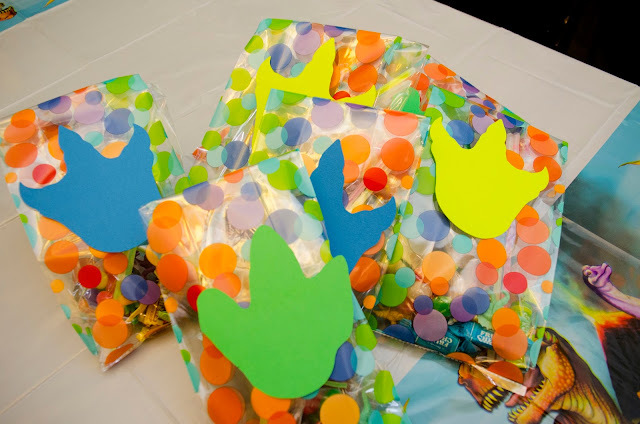 I know that party favor bags aren't really necessary, but it's our way of saying thank you for coming to the party! 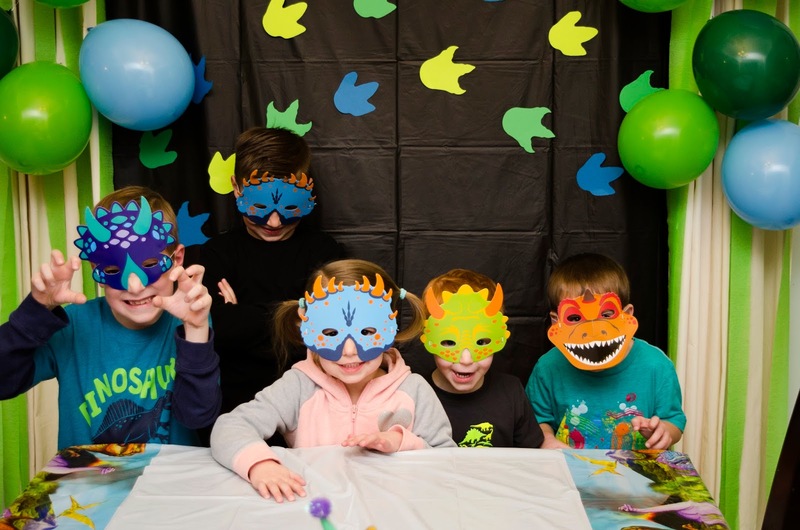 I keep it simple and just put in a few pieces of candy, bubbles, play-doh and these bags had little dinosaur toys that were cheap. 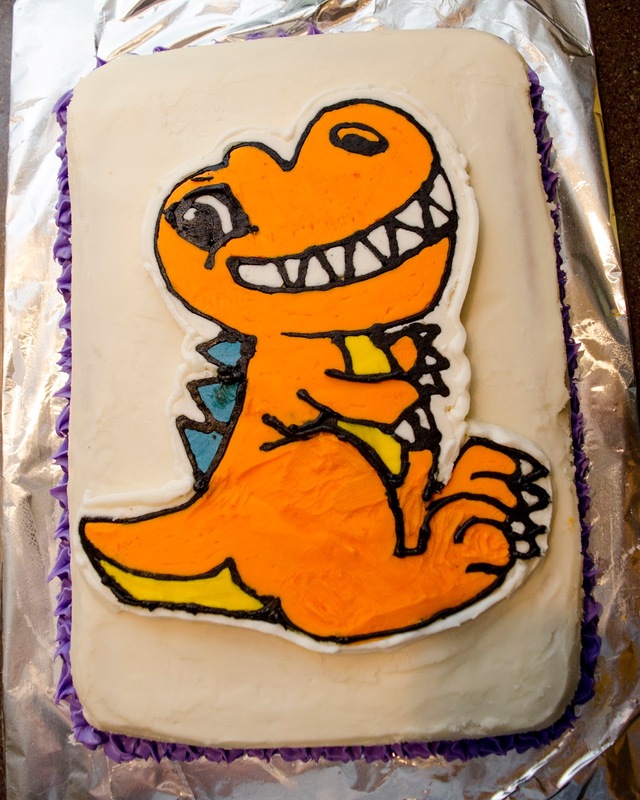 And here is the cake! There was a minor freak-out the night before when the dinosaur "picture" cracked and fell apart when being transferred to the cake...but it was repaired and you can't even really tell! 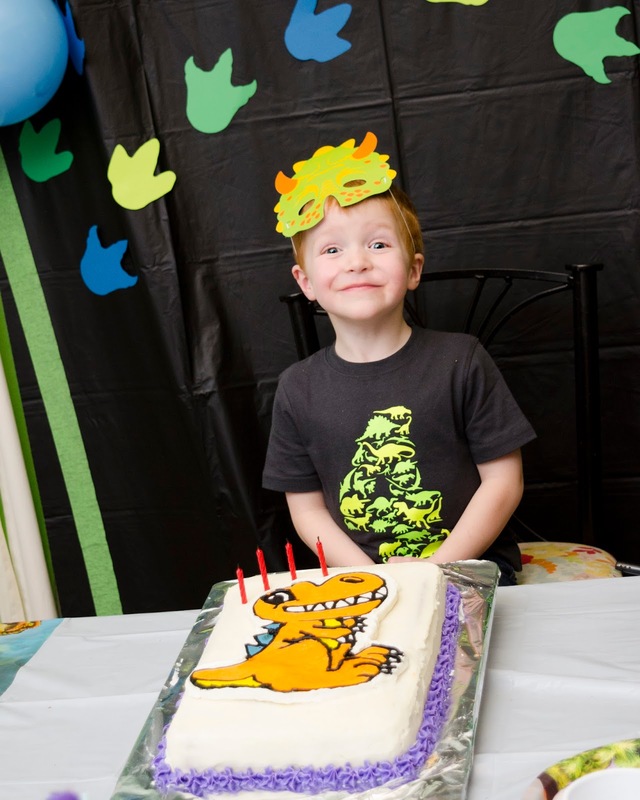 Sam kept changing his mind about what color he wanted the dinosaur to be...I ended up making the choice for him and did orange. 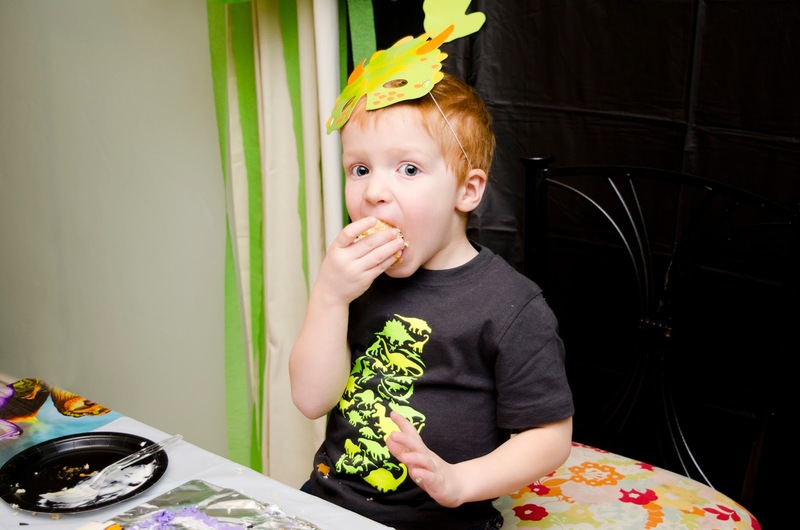 Let it be noted that this is also the first year Sam actually ATE the cake! He previously wouldn't eat cake and only would eat the ice cream. He loved every bite, though! I can hardly believe you are already FOUR years old!